So many times when I meet business owners in person I find their personality is completely different from the personality displayed in their marketing. Truth be told most display no personality in their marketing at all. The reason behind this is a perceived need to look “professional”. Their marketing is often bland, generic and if you swapped out their logo and name from their marketing material, it could be anyone else in their industry. It’s such a shame because if only they communicated in their marketing the way they do in person, they’d have much more success. When you meet them in person, these people are often highly intelligent, interesting to listen to and passionate about what they do, yet when it comes to their marketing material and sales copy it’s like they freeze up. All of a sudden, they try to sound “professional” and start using weasel words and phrases they would never normally use in conversation. You know the sort of words and phrases I mean, “best of breed products”, “synergistic”, “strategic alignment” etc. The fact is people buy from people, not from corporations. Building relationships and rapport is well understood in the world of one-to-one sales, however for some reason when it comes to the one-to-many position of being a marketer, many business owners think they need to put their personality aside and behave like a faceless corporation. Copywriting is salesmanship in print. You need to write your sales copy as though you were talking directly to a single person. Using monotone, boring, “professional” sales copy is the fastest way of losing the interest of your customers and prospects. Meaningless clichés and claims of being the leading provider in your category make you look like a “me-too” business. “Me-too” businesses attract lowest common denominator clients who by necessity shop based on price as they have nothing else to differentiate you by. People love authenticity, personality and opinion. Even if they don’t agree with you, they’ll respect you for being real and open. Being yourself and bringing out your personality will help you stand out in a sea of sameness and monotony. Just have a look at one of the most consistently enduring TV formats – the news talking head. Why waste such a large percentage of airtime on showing the face of the presenter? Using just their voice-over would mean that a lot more content and visual footage of the news story could be broadcast. However, the reason so much time is allocated to just the video of a talking head is that it adds personality to often bland topics. It also adds authority and feels like a one-on-one conversation with a trusted source. People respond to pictures and videos of other people. It’s no accident that YouTube and Facebook are two of the biggest online properties in the world. We’re extremely interested in what other people are doing and saying. You can easily take advantage of this in your business. One example is by adding a video to your website. It can be as simple as a talking head video of you describing your products and services, which you can shoot and upload in the space of 5 minutes using a hand-held camera or even a smartphone. Another example is using social media as a two-way communication medium for engaging with customers and prospects. Doing just these two things will create deeper connections because you’re adding personality to your business. Don’t use your marketing material as a screen to hide behind. Use it to give opinion, insight, advice and commentary and above all be yourself and be authentic. 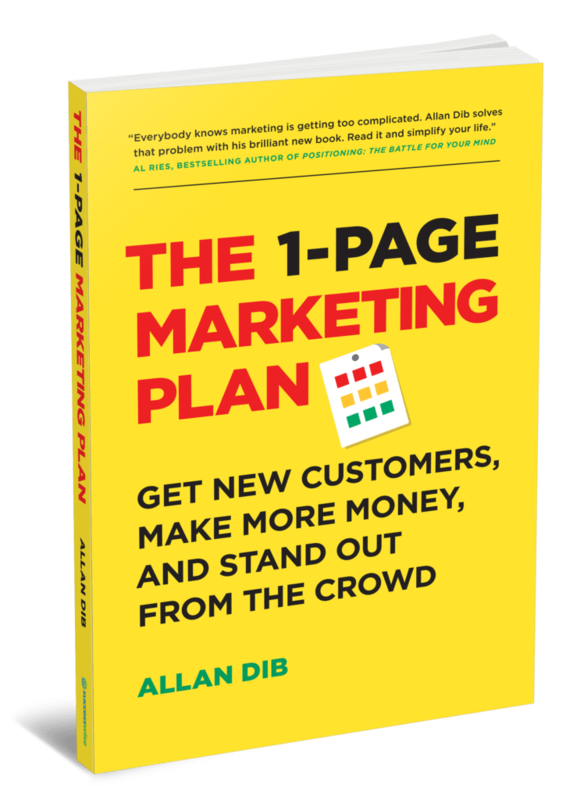 This will instantly create rapport and will differentiate you from all the other boring and bland marketing material around you.